The day that Anderson brought a gun to school was the day Aly's life changed forever. Her fellow classmates were murdered right before her eyes as her former best friend embarked on the deadliest high school massacre since Columbine. Now, nearly two years later, Aly sets foot in the halls that nearly cost her her life for the first time since the shooting, ready to face her demons. Unanswered questions linger, anxiety abounds and flashbacks are frequent as Aly struggles to understand how Anderson could've mercilessly gunned down her friends and classmates and how she's not only going to forgive him, but herself as well, for the role she might have played in influencing his actions. Was she to blame? Did she have blood on her hands? Could she have done something more? Could anyone have done anything more? Aly sets out to find the elusive answers to just that as she also attempts to rebuild the life that was shattered by gunfire that otherwise quiet Friday morning nearly two years prior. This work of fiction contains mature content including disturbing scenes of violence and mentions of sexual assault. “After you survive Anderson Massey your life doesn’t just pick up where it left off.” After Anderson by Jamila Mikhail wrenches your heart, challenges your soul, tests your personal morality and beliefs. I totally agree with the author’s statement in her commentary, if it “doesn’t bother you there’s something wrong.” We all need to learn to listen to the spoken and unspoken, & really pay attention to those around us. There is no denying, “The universe, with all of its flaws and disasters, was so beautifully and intricately crafted.” This line continues to echo in my mind. In saying that, how does one enjoy a book about a mass shooting? You don’t, but you do hope to gain an understanding of the cause of such a tragedy. Jamila Mikhail reveals the trauma that lingers long after such a violent act. 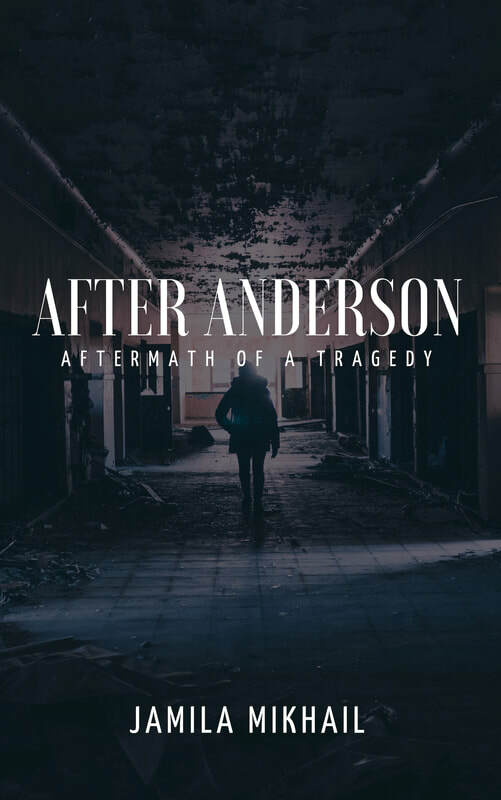 After Anderson is the story of a survivor. This is an excerpt of an unbiased professional review that was written by Cheryl E. Rodriguez on behalf of Readers' Favorite. Click below to read the full review.